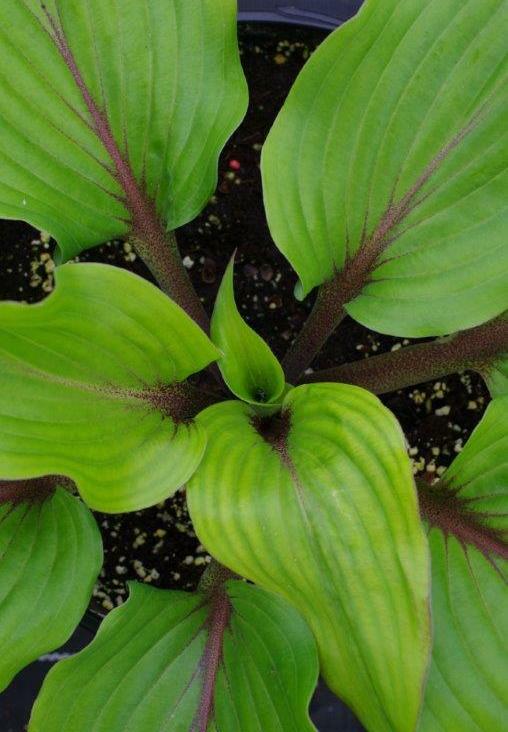 Hosta 'Almost' is very unusual with its pointed shiny green leaves carried on striking red petioles. The red of the petioles is very visible extending well up into the leaf. In the fall saturated purple red scapes with purple flowers are produced. This hosta combines beautifully with ferns or heucheras that have red accents in the leaves or stems.